New Connect app lets you to control Windows 10 PC or Mobile with another computer to project your PC or mobile screen on to another PC or the other PC’s screen on your computer. The Windows 10 Anniversary update was more that just new features and fixes. 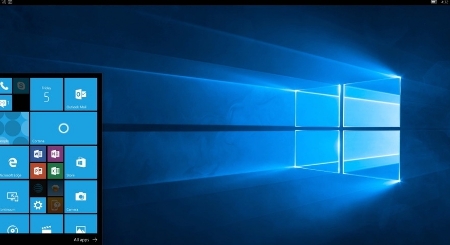 Microsoft has brought some amazing new functionality into the Windows 10 operating system in the anniversary update which you can use to connect and bring your devices closer and all of this is a part of Project to this PC initiative by the Redmond tech giant. If you have been experiencing errors after installing the anniversary update then check our Windows 10 Anniversary update error fixes guide. Here we are going to show you how to connect and control Windows 10 with another computer. Project to this PC is quite similar to remote desktop with a slight difference that the remote device is the one that connects with the Connect app. You don’t need username or password to project remote Windows 10 PC and Mobile to your computer display when using local network or Miracast wireless technology. 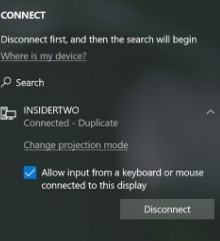 Here we are going to show in the guide below how you can project distant devices to your PC screen on the Windows 10 anniversary update or later computers. Project To This PC is composed of two parts: in this first bit, you customize the settings and in the second part you establish a connection using the Connect app. Here’s how you can customize settings. Open Settings and click on System. Moreover, Project To This PC also has an option to pair devices using the ‘Require PIN for pairing’ option. You can connect directly if you keep this option disabled. Mostly users will use this feature on notebooks and laptops but you can also make your desktop PC discoverable when it’s switched ON. You can rename your PC in order to make it easily recognizable when discovering devices on the remote host. Note: If you’re unable to connect via this feature, it may be because this option is disabled and laptop is running on battery mode. Click the name of the device you are trying to remotely project. Check the Allow input from a keyboard or mouse connected to this display option. When the connection is established, you will be able to control the remote screen from your keyboard or mouse. Make sure the device hardware and internet speed are up to the required standard for optimum experience. Another highlight of this ‘Project to this PC’ feature is that you can do more than just project main PC screen, you can also convert computer into a secondary monitor for another PC. When you connect another computer with the main PC screen, a new Change Projection mode option pops-up. This Mode contains Windows Project options including Disconnect, Extend, Duplicate and Second screen only. 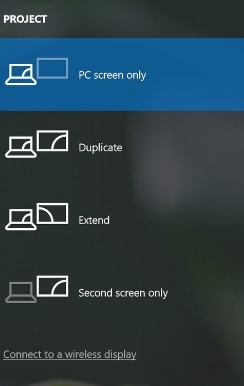 By clicking on the Extend option you will be able to expand main screen real estate when connected to a secondary monitor to have bigger screen display to work on. Microsoft is advertising this ‘Project to this PC’ feature as business oriented to help colleagues quickly show and exchange Word, PowerPoint, Excel, or any other documents, but anyone can use this feature. You can use to for network gaming, watching multimedia content or any other purpose. 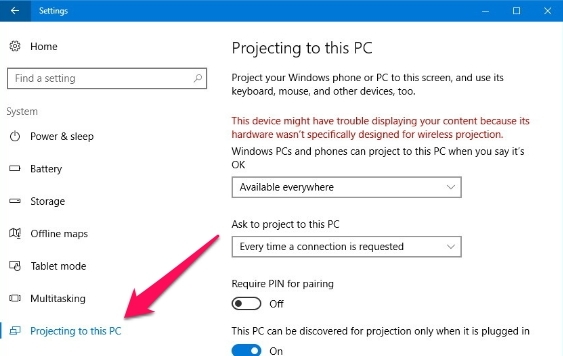 Note: Devices projecting to your main PC via the Connect app do not require Windows 10 Anniversary update (1607) installed on them, it works perfectly fine on devices with the Windows 10 November 2015 update (1511) or later. On Windows 10 mobile, you can not only access the phone screen but also the continuum experience. Share your thoughts in the comments section below if you have any queries regarding Project to this PC feature.